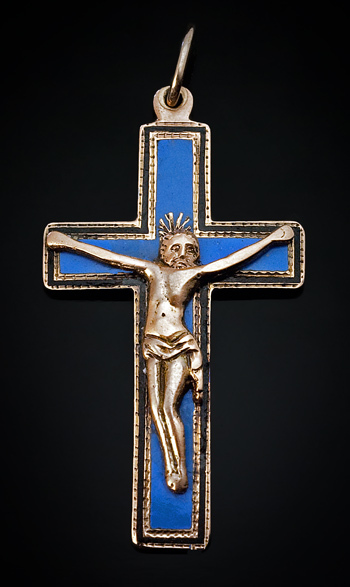 The front of the cross is covered with sky blue opaque enamel within a black enamel border and applied with a gold sculptural crucifix. Jewelry with blue opaque enamel was fashionable during the Georgian era of the first two decades of the 19th century. 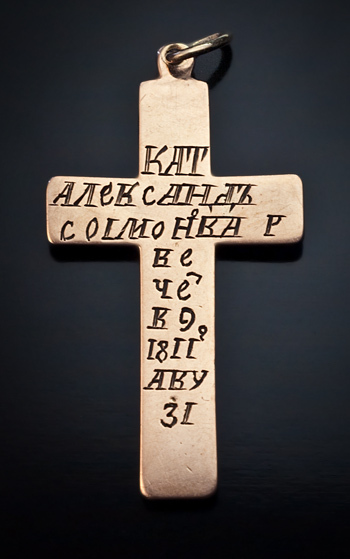 Russian jewelry from that period is very rare, especially enameled pieces.